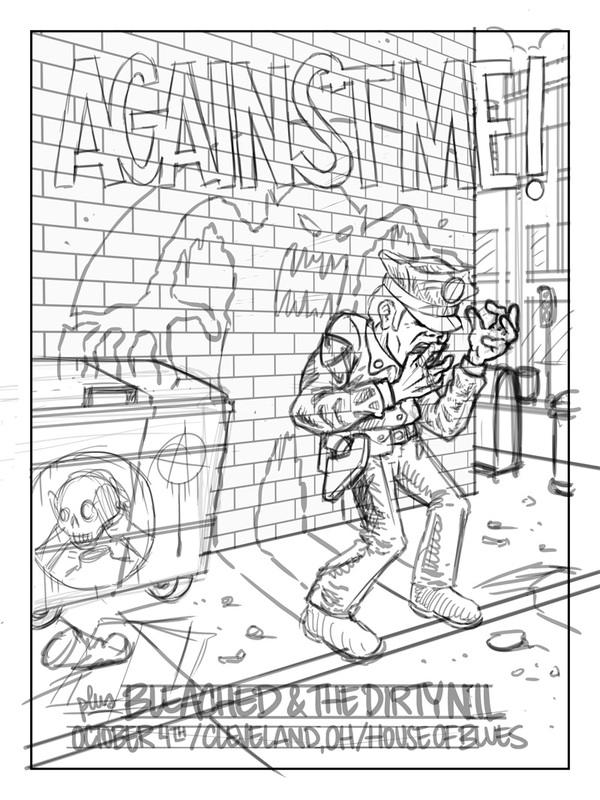 Poster for the Against Me! 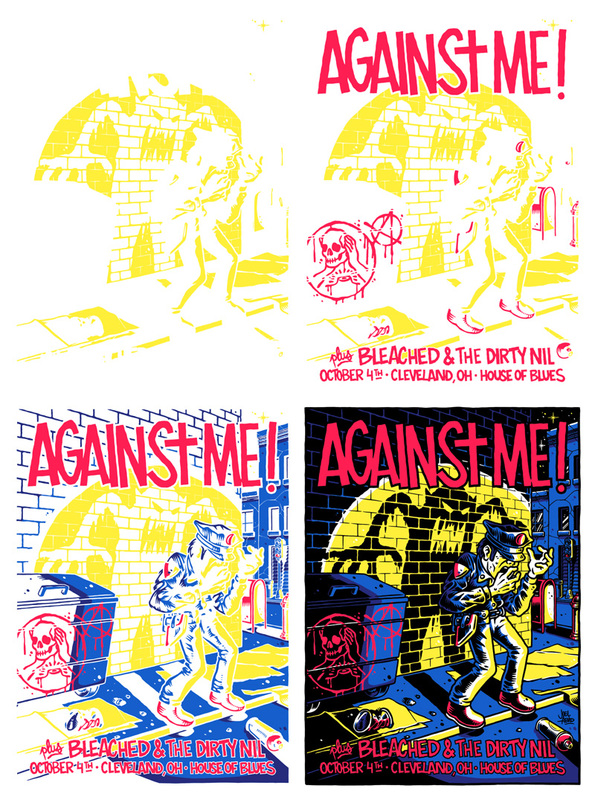 gig at The House of Blues at Cleveland, OH. 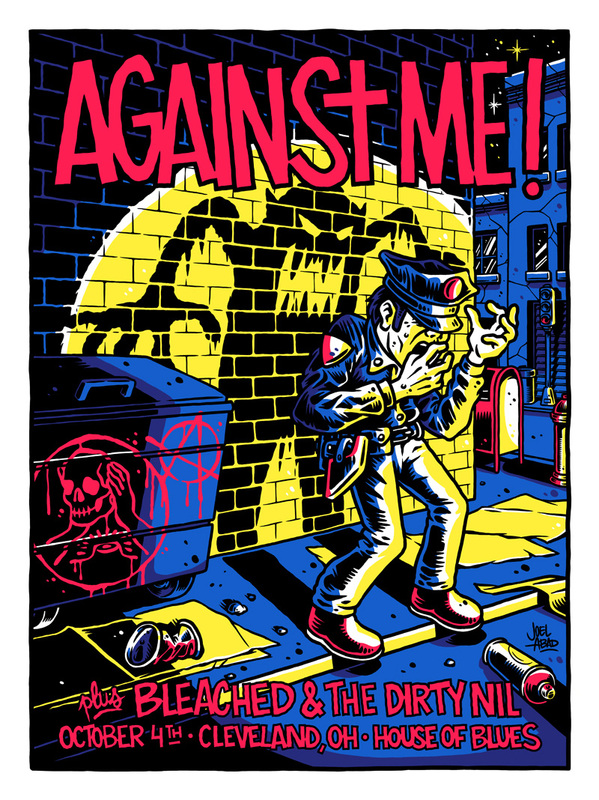 This poster is part of a collection curated by Garage Land, where many artists from around the world have created a unique piece for every gig of the Against Me! North America Fall Tour 2017. 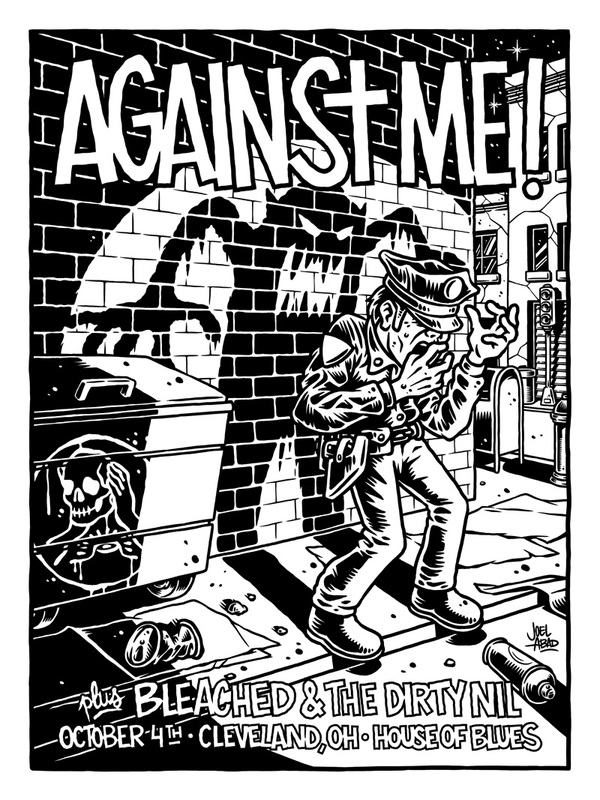 A limited run of 90 screen printed posters where available to purchase on the event, and on next days some more will be available here.